1. Put the dressing ingredients in a small lidded jar. Shake to mix well and let meld for at least 10 minutes. Tip: When you dress the salad leave the garlic clove in the jar, unless your dinners really like raw garlic. If this is the case, press the garlic to a fine paste and have at it. 2. 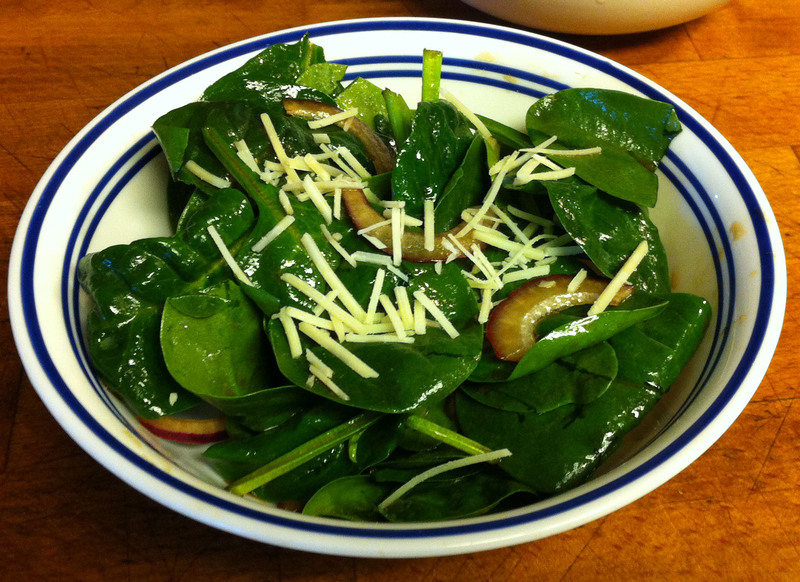 Add the spinach and onion to a mixing bowl and pour on the dressing. Toss to coat. 3. Transfer the salad to individual bowls and garnish with a bit of shredded parmesan cheese.